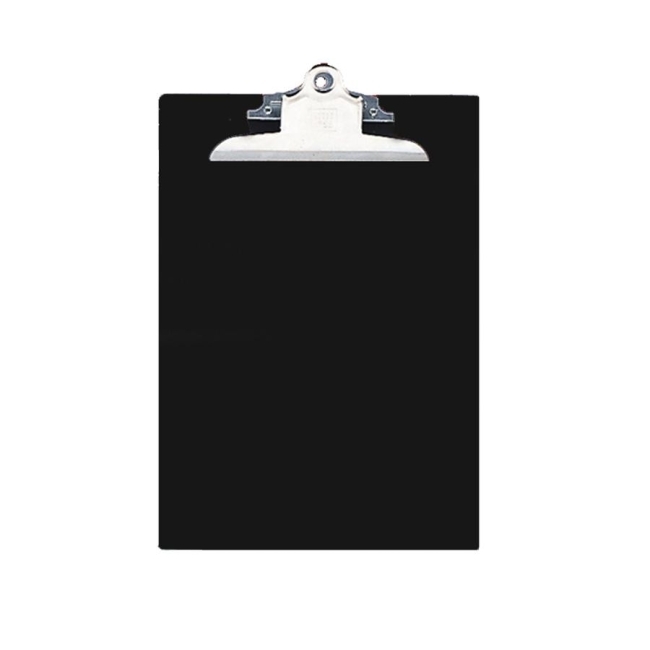 Plastic clipboard is equipped with a heavy-duty industrial steel clip. Clip holds up to 1" of paper. 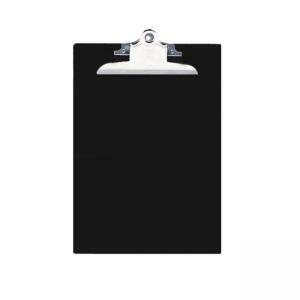 Unbreakable board is made from 90 percent recycled material and 90 percent post consumer material.